We contracted to buy a home and discovered major undisclosed issues. We backed out, and now the seller will not release our deposit. What should we do? You are at the point you need to consult with legal counsel. You should do this quickly. Here are some suggestions that may help. Reader Question: We signed a contract on a home. 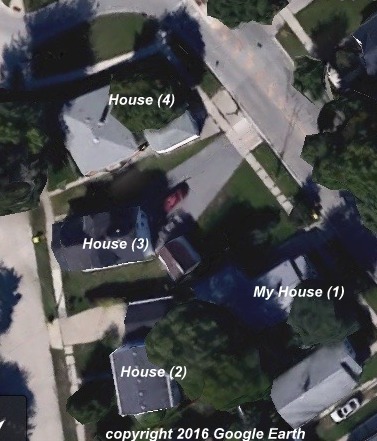 In reviewing disclosures, everything seemed ok. We found out a week later that the city water and sewer was confirmed to run under the house and through the middle of the back yard and also services three properties to the south. We also learned the water meter in the garage was repaired in years past and the property owner paid the bill. We backed out of the contract. Now, the seller refuses to sign a mutual release, and their lawyer sent a response they expect to close. They won’t return the $15000 earnest money. Our agent wants nothing to do with it. None of these issues were disclosed. We also want to help other buyers to understand there is a risk and find out how not to lose their earnest money. Can you help? Monty’s Answer: If it is verified the seller did not disclose these items that you have uncovered, an attorney can evaluate the likelihood to recover all or part of your deposit. At this point, seeking a legal opinion to learn your options for recovery is the best course of action. It is unclear why your real estate agent is not helping you with this effort. It is possible they are not helping because they may believe they have some liability. Do not delay in seeking advice. If you do not have an attorney, here is an article about a method to find a good real estate attorney. 1. As directed by an attorney who has reviewed the transaction and does not represent buyer or seller. 2. Into a court hearing a lawsuit involving the earnest money and all Parties to this Offer. 3. As directed by court order. 4. Any other disbursement required or allowed by law. The broker is permitted to engage an attorney to direct payment and may deduct from the earnest money any costs and reasonable attorneys fees, not to exceed $250. The broker’s disbursement of earnest money is not the final say. The broker must send the buyer and seller notice of the plan, and if either buyer or seller disagree with the broker, may file a lawsuit to obtain a court order for disbursement. Read your offer to purchase to see if your state includes an earnest money process in the document. If the language is present, you will learn how the state handles earnest money disputes. This information will help you in future conversations. ● Contract documents including the seller condition report and agency disclosures. ● A copy of a city engineering map that demonstrates the location of the utilities. ● Copies of the records of multiple repairs paid by the owner. Lacking the ability to obtain physical copies of the repair data, the name and contact information of the person who provided you with this information. ● Any notes you took, recollections of conversations, or emails between you and the agent. If you have not spoken with the broker (a different person than your agent), it may be a good idea. The agent may not have made the broker aware of the situation. Ask your attorney if this is a good strategy. One of you may want to let the broker know you prefer their help with getting your money back. The broker may have some influence with the seller. This scenario may be more likely if your attorney believes the law will support a positive decision. Homebuyers can protect themselves from this earnest money situation by reading the contract before they agree to it, realize they can negotiate the amount of earnest money, and to understand such language is included in the contract because things can, and do, go wrong. Care in vetting and selecting a real estate agent also increases the odds of a smooth transaction.